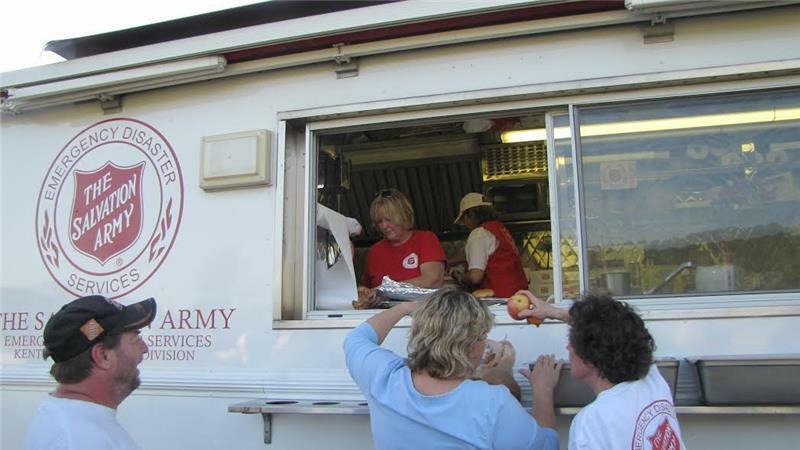 After devastating storms ripped through the Tennessee Valley overnight and Wednesday morning, the Salvation Army has been asked to help serve emergency workers and residents of Polk and McMinn Counties in Tennessee and Jackson County in Alabama. This morning 200 breakfast biscuits along with coffee and water, were taken to Rosalie, Ala. community from the Jackson County Salvation Army Service Unit and to Polk County Tennessee from the Cleveland Tennessee Salvation Army. Lunches are being prepared and will be delivered to these counties along with McMinn later this morning. The Salvation Army is also waiting for search and rescue teams to clear neighborhoods so Salvation Army pastoral care can also serve. The Salvation Army asks for prayers for neighbors in Polk, McMinn and Jackson Counties. The Salvation Army also needs support for the relief efforts by donating monetarily to csarmy.org, 1-800-Sal-Army, or you may text TNSTORMS to 41444. Please earmark donations for November Storms. For additional information, please call the Salvation Army at 756-1023.